Brest Regatta – Brittany isn’t always this busy! The planned 2019 Summer Cruise will be from our base in Haslar Marina, to Brittany. It will start in early June and finish in late August – 12 weeks in total. The first leg of 11 days is intended as a ‘delivery trip’ to provide the experience of several days at sea in one block. Also skipper assessors and trainers are onboard some weeks and these could be upgrade passages and coaching for our less experienced skippers. Bookings will open at 0900 on Saturday 5th January 2019 and must be made by email to the Bookings Officer (bookings@phoenixyachtclub.co.uk) or through the form on the web site. Places will be allocated strictly in the order that they are received, based on the time stamp of the email. Skippers who have previously expressed interest in particular weeks need to book too or they could lose that week. If anyone (skipper or crew) books for another member than that member must be copied on the email. As usual with the Summer Cruise, a £100 deposit per person per week is required to confirm your booking and should be paid immediately after the Bookings Officer replies to confirm your place. If you have not paid the deposit within 3 days of being offered a place, it will be offered to the next member on the list. Each member must confirm their own place by paying the deposit. Cost will be normal sailing fees (i.e. five summer weekdays and two summer weekend days, for all except the first leg) plus a small daily supplement towards the cost of charts. Places are likely to be oversubscribed, so please remember before booking that you will be liable for the full cost if you cancel with less than four weeks notice and your deposit will only be refunded if your cancelled place is filled by another member – or, of course, if the cruise is cancelled by the club. Booking will open for full members only. This is to ensure priority in case of being over-subscribed. Once it is clear that there may be spaces then booking for temporary members and associate members will be allowed. A separate notice will go out to all members when and if this situation arises. Please refer to the Bookings Calendar to check crew already booked and the number of available berths remaining. Sometimes a race becomes a competition to see who can keep moving with no wind! We are entering RelaX in the RORC series again in 2019, but do not feel we will have a sufficiently strong crew to participate in the Fastnet race this year. There is also the Round the Island for those that might prefer a shorter race. 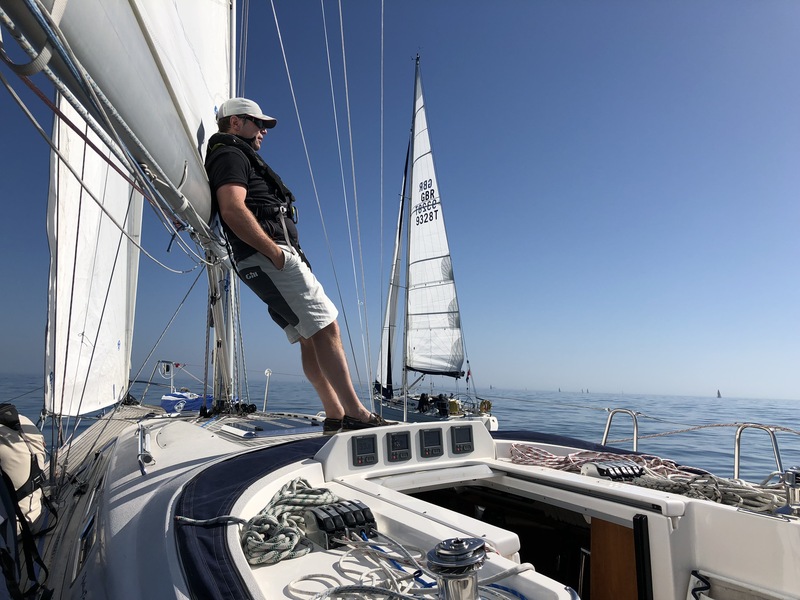 For those who have not raced before, PYC takes a relaxed approach to racing (more cruising quickly) and there is certainly no sitting on the rail for our crews. 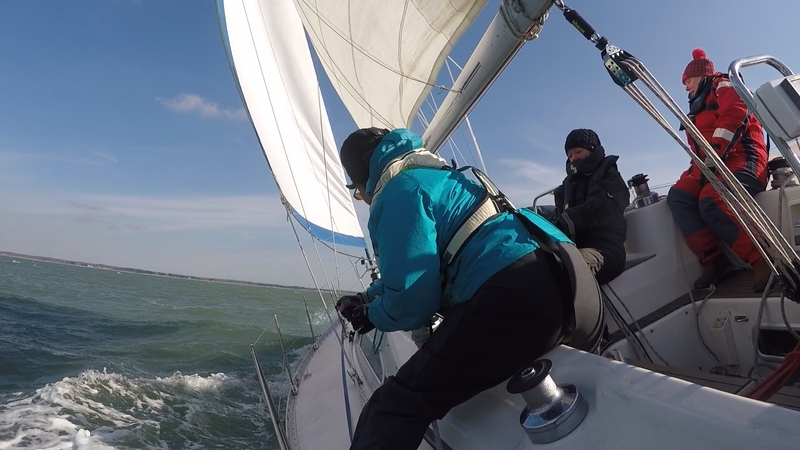 We tailor our approach to racing to suit the needs of the individual crew member so if you are thinking of giving it a go then now is a good time to step forward. It is a great way to learn new skills, or strengthen old ones, that you can apply to the rest of your sailing career. As an RYA Recognised Training Centre we are able to provide the following practical courses to our members: Competent Crew, Day Skipper, Coastal Skipper and Preparatory courses for the RYA/MCA YachtmasterTM Exam. In addition we provide a number of our own courses covering areas such as: Boat Handling, Spinnaker Training and Sail Trim. A summary of the courses we will be offering in 2019 is shown below. For further information please contact Laurent Morlet our Skipper and Training Officer at training@phoenixyachtclub.co.uk. We are asking for deposits to be paid to confirm your training place at a rate of £20 per day, so a 2 day course will require a deposit of £40 and a 5 day course will require £100 to confirm your place. If you cancel, this deposit will only be returned if your place is filled and more details are available in our booking terms and conditions. If you wish to develop your skippering skills then do read our skipper manual and read this article for more information. Get to know our boats and practise all the skippering activities under the tutelage of the PYC skipper you are sailing with.